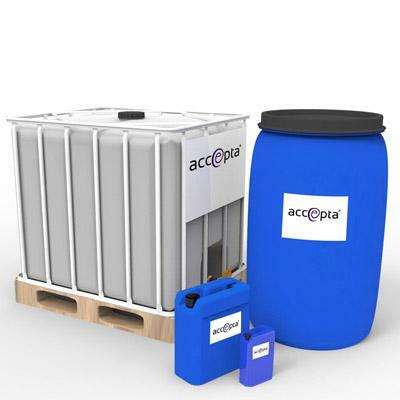 Accepta 2823 is a high performance, all organic scale and corrosion inhibitor scientifically formulated for the treatment and protection of cooling water systems. Accepta 2823 is a highly effective corrosion inhibitor for steel, aluminium and other non-ferrous metals, and is particularly suitable for pH over 8.5. With its technically advanced formula, Accepta 2823 also contains a chlorine stabilising agent improving the use of chlorine as an essential biocide. Accepta product specialists can advise on the ideal dosage levels for individual systems. For further technical assistance concerning Accepta 2823 please contact Accepta.